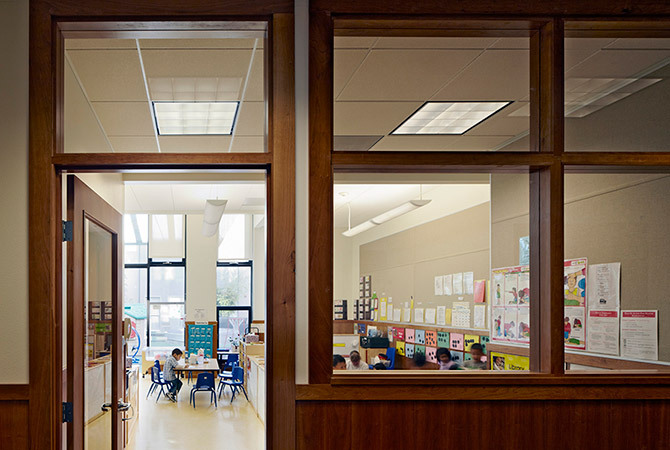 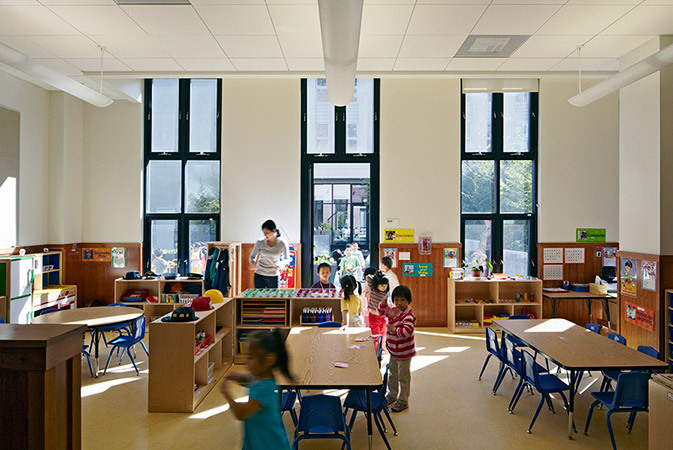 Located within the Broadway Family Apartment complex, Kai Ming Head Start contains classrooms designed to provide open, flexible plans, ample daylight, and a warm palette of durable materials. 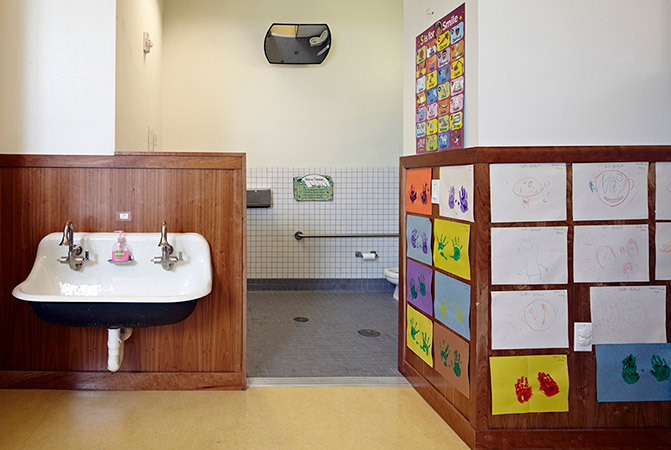 Dedicated toilet rooms in each classroom with partial height walls allow teachers to visually monitor classroom activity, while dual level switching and combination up-down lights provide flexible lighting for both activity and nap time. 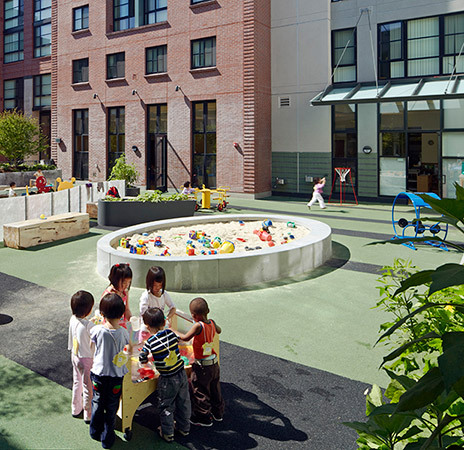 Two classrooms have direct access to an outdoor play area, and a third provides access through the housing lobby. 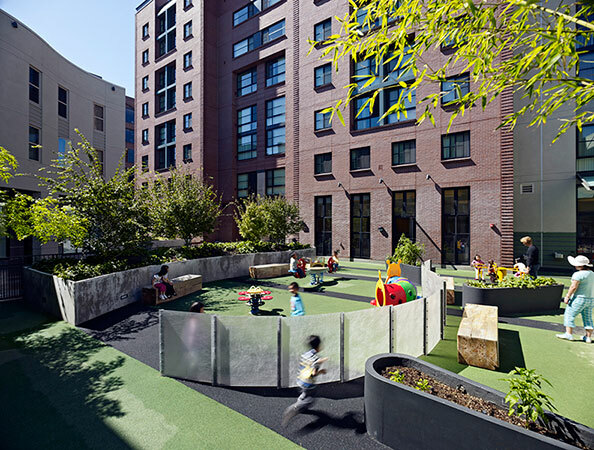 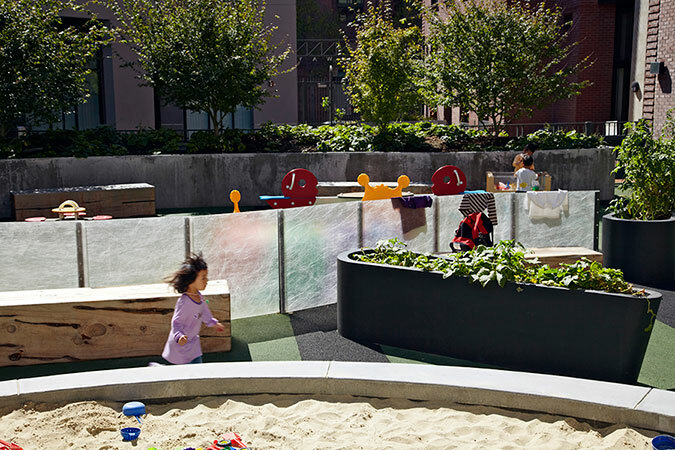 The courtyard features resilient, poured-in-place surfacing, a raised concrete sandbox, shade trees, bamboo plantings, individual raised planters for gardening, and canopies to provide dry outdoor play areas during inclement weather.